"This project is the culmination of more than a decade of groundbreaking work," said NIH Director Francis S. Collins, M.D., Ph.D. "This analysis provides cancer researchers with unprecedented understanding of how, where and why tumors arise in humans, enabling better informed clinical trials and future treatments." 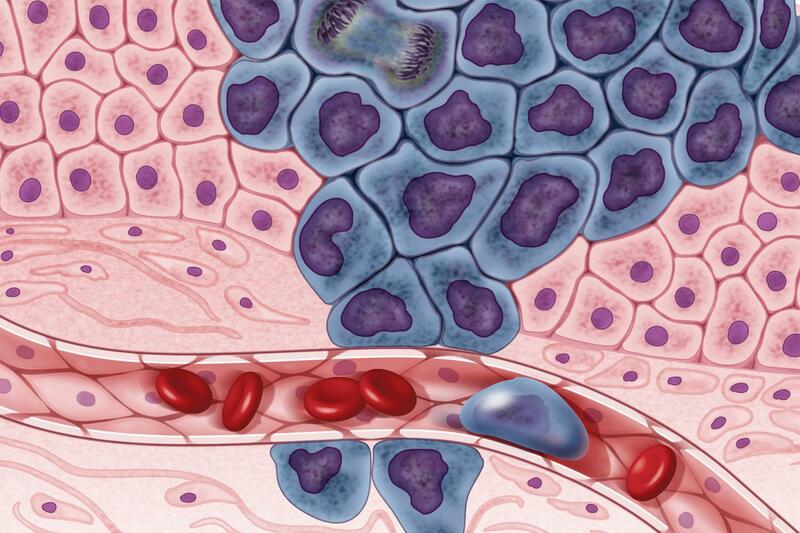 The PanCancer Atlas, published as a collection of 29 papers across a suite of Cell journals, sums up the work accomplished by The Cancer Genome Atlas (TCGA) – a multi-institution collaboration initiated and supported by the National Human Genome Research Institute (NHGRI) and the National Cancer Institute (NCI), both part of NIH. The program, with over $300 million in total funding, involved upwards of 150 researchers at more than two dozen institutions across North America. "TCGA was the first project of its scale to characterize – at the molecular level – cancer across a breadth of cancer types," said Carolyn Hutter, Ph.D., director of NHGRI's Division of Genome Sciences and the NHGRI team lead for TCGA. "At the project's infancy 10 years ago, it wasn't even possible, much less on such a scale, to do the types of characterization and analysis that were being proposed. It was a hugely ambitious project." "The PanCancer Atlas effort complements the over 30 tumor-specific papers that have been published by TCGA in the last decade and expands upon earlier pan-cancer work that was published in 2013," said Jean Claude Zenklusen, Ph.D., director of the TCGA Program Office at NCI. The PanCancer Atlas is divided into three main categories, each anchored by a summary paper that recaps the core findings for the topic. The main topics include cell of origin, oncogenic processes and oncogenic pathways. Multiple companion papers report in-depth explorations of individual topics within these categories. In the first summary paper, the authors summarize the findings from a set of analyses that used a technique called molecular clustering, which groups tumors by parameters such as genes being expressed, abnormality of chromosome numbers in tumor cells and DNA modifications. The paper's findings suggest that tumor types cluster by their possible cells of origin, a result that adds to our understanding of how tumor tissue of origin influences a cancer's features and could lead to more specific treatments for various cancer types. The second summary paper, presents a broad view of the TCGA findings on the processes that lead to cancer development and progression. Specifically, the authors noted that the findings identified three critical oncogenic processes: mutations, both germline (inherited) and somatic (acquired); the influence of the tumor's underlying genome and epigenome on gene and protein expression; and the interplay of tumor and immune cells. These findings will help prioritize the development of new treatments and immunotherapies for a wide range of cancers. The final summary paper, details TCGA investigations on the genomic alterations in the signaling pathways that control cell cycle progression, cell death and cell growth, revealing the similarities and differences in these processes across a range of cancers. Their findings reveal new patterns of cancer's potential vulnerabilities that will aid in the development of combination therapies and personalized medicine. About the National Institutes of Health (NIH): NIH, the nation's medical research agency, includes 27 institutes and centers and is a component of the U.S. Department of Health and Human Services. NIH is the primary federal agency conducting and supporting basic, clinical and translational medical research, and is investigating the causes, treatments and cures for both common and rare diseases. For more information about NIH and its programs, visit nih.gov.